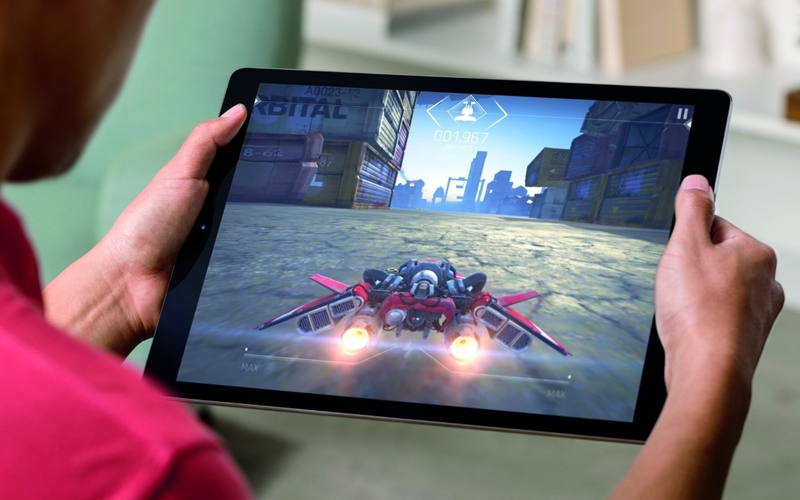 Apple’s iPad Pro goes on sale today in more than 40 countries. As is often the case, prospective buyers are turning to the Internet to see what those in tech circles have to say about the new tablet – a wise move considering it starts at $799 for a 32GB model with Wi-Fi and well over a grand if you require a cellular connection (and that’s before purchasing the optional companion keyboard and stylus). While it may seem like just another iPad to some, that’s hardly the case. Unlike previous iterations, the iPad Pro targets an entirely different demographic: working professionals. 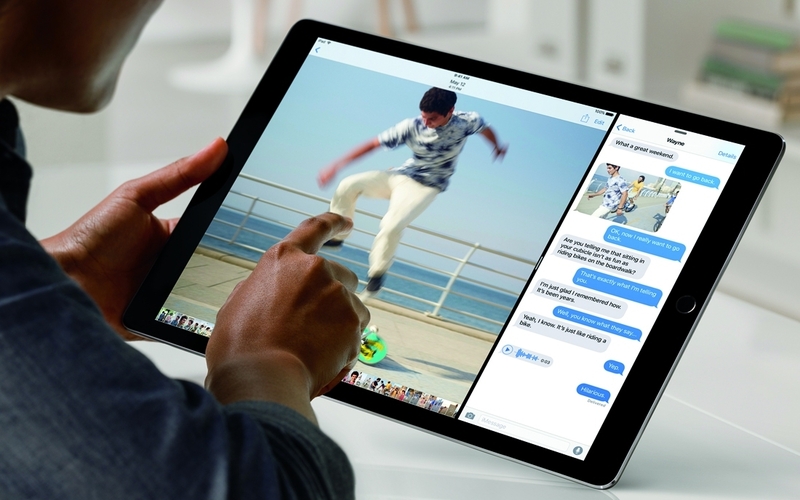 Apple has a lot riding on the success of the iPad Pro. It’s the first major fork (or the second, if you count the iPad mini) and the first serious enterprise play but more importantly, it’s an attempt to revive a category that’s become marred by a combination of market saturation, a lengthy replacement cycle and cannibalization from large-screen smartphones. The A9X can’t quite get up to the level of a modern U-series Core i5 based on Broadwell or Skylake, but it’s roughly on the same level as a Core i5 from 2013 or so and it’s well ahead of Core M. And despite the fact that it lacks a fan, the A9X shows little sign of throttling in the Geekbench thermal test, which bodes well for the iPad Pro’s ability to run professional-caliber apps for extended periods of time. Things are even more impressive on the GPU side, where the OpenGL version of the GFXBench test shows the A9X beating not just every previous iDevice, but every Intel GPU up to and including the Intel Iris Pro 5200 in the 15-inch MacBook Pro and the Intel HD 520 in the Surface Pro 4. 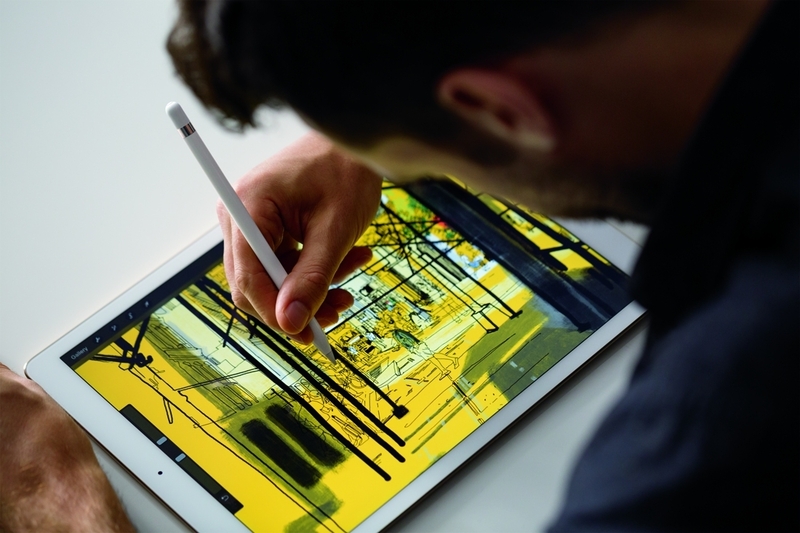 I'll tell you right now who's going to want an iPad Pro: anyone who draws or works with images. Its killer app doesn't even come in the box. 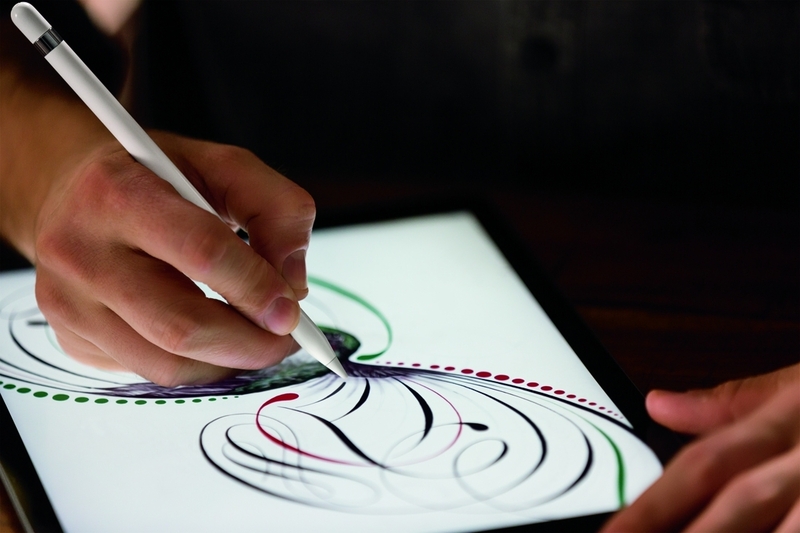 The Pencil, Apple's new stylus is sold separately, for $99. It's specifically designed to work with the iPad Pro, and it blows away any other stylus I've ever used, even Microsoft's Surface Pen. It's fast, accurate, pressure-sensitive, comfortable, and for apps that support it, glorious. My problem with the iPad Pro is threefold. First, I found it just too big and bulky to hold and use comfortably for long periods. And that was when held horizontally. Held vertically, it was worse, because it felt unbalanced to me. Second, I was disappointed with Apple’s optional keyboard case. It’s essentially a shallow Mac keyboard, with keys like Command that mean something only in Mac OS X, but not a single shortcut key to an iPad function, like Home or Search. It’s also not backlit, and it has only one angle in which it holds the screen. Additionally, it’s so light and small compared to the screen that I find it difficult to balance properly on my lap for typing. It’s also really costly, at $169. Third, I found few apps that took advantage of the greater screen real estate to display panels or functionality often hidden on mobile devices. One of the iPad’s great advantages over other tablets is that it boasts 850,000 apps that have been optimized for tablet use. But few of these used the much bigger screen on the Pro. The technology behind the keyboard is very cool. They’ve made a special connector for it that connects and holds really well. Three dots, one for ground, one for power and one for data. Those are transmitted via a layer of conductive cloth inside the cover, which has been etched away to create ‘circuits’ that pass voltage from one end of the keyboard to another without any wires. It’s suuuuper slick. But the feel of the keys are a bit mushy for my tastes and isn’t nearly as good on the rapid fly as a MacBook keyboard. The sealed design is welcome for spills and splashing, and it’s better than OK. It’s just not amazing. I brainstormed for my video using the Paper app, dragging in photos and videos, marking them up with handwritten notes. I edited a short video by cutting and moving around clips with my finger. I sliced off what looked like a real human leg in an app called Complete Anatomy. That’s why answering “So… what is it?” is so hard. The Pro may seem wedged between iPads and MacBooks, but it will be your main computer in the future. As our phablets push smaller tablets into retirement, the big tablet and its accessories will do the same for our traditional computers. For now, however, it may be easiest to step back and see the Pro as a… really good, really big iPad. For those of us who still cling to laptops and desktops, the iPad Pro just doesn’t feel like a serious machine for serious work. We need our keyboard shortcuts and our mice, our apps that work just how we like them. We need our accessories. A touch-first interface just doesn’t feel right, and the iPad Pro can’t overthrow our existing workflows and tools. Maybe we’ll catch up to Tim Cook’s vision of work someday. Maybe. But for right now, we have work to do, and no time to reinvent how we do it. Nobody’s going to toss their iMacs and ThinkPads into the garbage tomorrow and instead lay a 12.9-inch tablet on everyone’s desk. If there’s a touchscreen revolution underway, it’s going to happen slowly, an app and an accessory at a time. That's it I'm calling it! PC's are dead! goodbye developing games on a PC the future is developing games on a ipad! That new call of duty game your playing on your xbox two? that was developed on Apples Ipad! PC's aren't dead but they will slowly fade into extinction, but so will smartphones, so will tablets, so will Apple, Google, MS etc. Nothing lasts forever, not even our earth. Uvindu, RenGood08 and wastedkill like this. Because moving your hand across a 12 inch screen is far more efficient than sliding it over half an inch for a single task. I don't understand the logic of touchscreens for professional environments. They make setups far more portable which makes for on the fly work, but their utility diminishes from there. I don't want to replace my desktop with a iPad because in the long run its more taxing to perform anything but simple work. OortCloud, crocography and Lionvibez like this. Seeing the words 'enterprise' and 'Apple' together was a good laugh. cartera and Lionvibez like this. Yeah, unless you wanna play something other than candy crush. I've been hearing that the PC is doomed for 20 years now, but it never happens, I expect one day it will. Of all the threats that have come and go the iPad pro is probably the most laughable contender. Great device, just not in the business sector. Only the most image-over-substance-hipster company is going to throw away all their PC's and laptops and stick an iPad on peoples desks - at the most fundamental level they are not suitable - proper networking, security, distributed file systems, centralized software roll-out and a million other commercial reasons. Its a fun device for some photo-editing email and web browsing but its not PC/Linux contender. While very impressed with the Pencil, am underwhelmed with the iPad Pro itself (look and feel). Sure, it's the big brother of the iPad lineup and looking the same as the mini and Air makes sense, but that makes it terribly boring, all the same. The iPad Pro has no charisma of its own. It's just a big iPad albeit with a very good new sketching/graphics capability that will appeal to some folks. Might as well have called it iPad Art. I also would have loved to see Apple simultaneously release another Pencil (less expensive) that worked with the normal iPads for basic note-taking and sketching, thereby making the entire community feel like they're getting upgraded (and sell even more normal iPads than ever before to newbies). The new keyboard is acceptably decent, but again, underwhelms. I expect iPad Pro sales to be below average (for Apple).